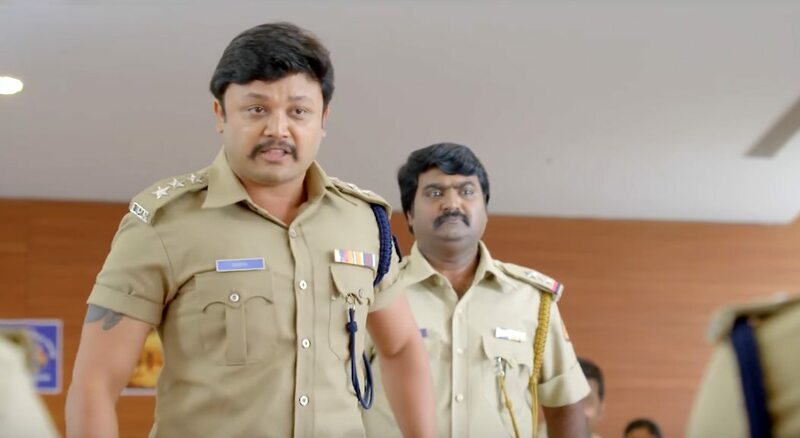 Pataki Movie Review: Manju Swaraj directional Golden Star Ganesh’s latest flick Pataki has just screened on this Friday, May 26 across Karnataka. Actor Saikumar has contributed his acting in an important character. Ranya Rao is the female lead of this film. Whereas, Ashish Vidyarthi, Sadhu Kokila and others are in the supporting roles. S.V.Babu produced this film under the banner S.V.Productions. Arjun Janya is the music composer of this film. Venkatesh Anguraj is the cinematographer and BM Vishwa finalised the main copy of the film by his editing. The film released nearly 250 screens in Karnataka and few special shows have arranged in Chennai. The film contains totally five tracks and the Pataki songs are released in this month, May 2017. The latest Kannada film Pataki is the remake of Telugu film Pataas, which packed decent box office record. Early, it was said the latest film by Ganesh Pataki will bring good scoring for NM Vishwa compared to his Kempe Gowda film a remake of Singham starring Kichcha Sudeep. It means, the film is so faster than the Kempe Gowda. The movie run time is 1 hours 20 minutes. In the Pataki, Ganesh played as the corrupt cop. An ugly incident from the past motivates him to be a dishonest cop, who works closely with a rouge politician enacted by Ashish Vidyarthi. Saikumar plays Ganesh’s estranged father in the flick. The story takes a twist when the cop and politician’s relationship sours. The remaining part of the story is about a cat-and-mouse game between them. After the songs released early in this month, the audience are like to watch the film. Also, the makers satisfied about their pre-release business by promoting through various sources. Golden Star Ganesh appears in Khaki uniform as the first time. As per the audience response and review, the latest Pataki Kannada film rated 3.5/5 from the audience. The critics will announce their rating and review as soon. Overall, Pataki is the decent mix of action, comedy and romance. It is only for the Masala film lovers. The lead Golden Star Ganesh appears in an extra mass character in his town. Some of the people who watched the film have said that it is only for the fans of Ganesh. “It’s great to do family films, but I don’t believe in having a certain image. As an actor, I want to try different things, and that’s good for business as well, since the audience expects an artiste to do different things, all while retaining the things they are best known for. We kept that in mind while molding corrupt ACP officer Surya’s character. So, Pataki has drama, fun, action, emotions and thrilling elements. “The audience has to feel a connect with the movie and they should feel that Surya needs to hit a certain character in the film. That’s when a film is meaningful” added by Ganesh.